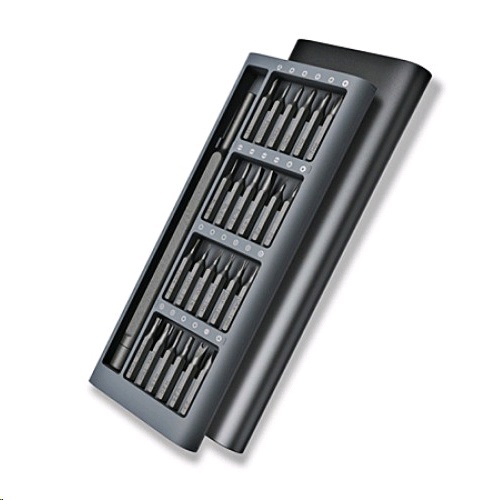 - Wiha refinement screwdriver set: Aluminum alloy shell ? 24 wiha precision batch head ? magnetic whisker storage ? aluminum handle - Rice and Germany high-end tool brand wiha side by side to build: Wiha, the German tool industry in the high-end brands, with nearly eight decades of high-quality tool manufacturing experience. 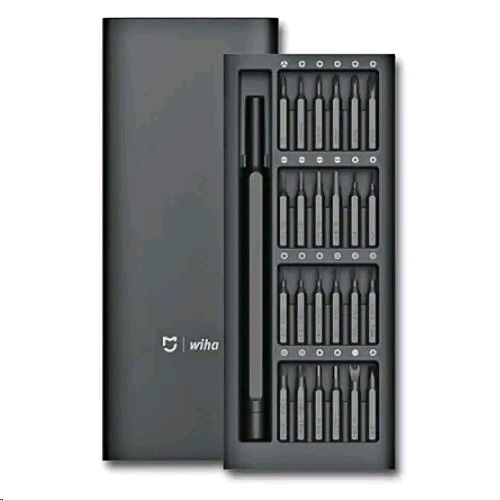 - Aluminum alloy storage box: High-precision one molding process; Rounded edge of the arc, comfortable grip; Surface sandblasting anode treatment, anti-corrosion anti-corrosion - 24 wiha precision batch head: High precision bite; Double rust treatment; Hard and not brittle, tough and not soft - Meet most of the daily needs: Xiaomi mijia wiha repair screwdriver 24 high-precision batch head, a total of 9 species for quartz watches, Cameras, radios, computers, mobile phones, unmanned aerial vehicles and other conventional small household appliances to meet the needs of most daily repair.